Need new apps for your favorite device? 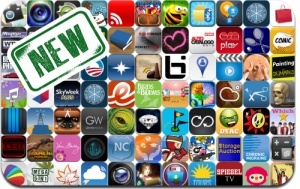 Here are 75 iPhone, iPad and iPod touch apps that just hit the App Store. This new apps alert includes Total Defense 3D, Storage Auction, Oh my fish, Season Match 2, Almighty Cow, London Sports, Beeing, Damn You Autocorrect, Tarot, Comic Story, The Last Shot, Panic Browser, Reader Tracker, and many others.